Despite the uncertainties that have subsequently accompanied the Brexit vote in June, life at Prolific North - in common with many companies spanning the creative and marketing sectors - feels surprisingly good! In September the site recorded its highest ever number of unique visitors at just shy of 79,000 (up 25% on Sept '15) and job advertising, after a predictable summer lull in the wake of the referendum, came back strongly in September and remains buoyant in October. Reader engagement was helped along by a string of exclusives and breaking stories and we continue to invest in new content with initiatives such as Inspired Spaces North, Top Scriptwriters, three new weekly features and our definitive research rankings of various sectors. Our first Northern eCommerce Awards (in partnership with Don't Panic) enjoyed a successful debut with over 330 guests from leading eCommerce companies and suppliers joining us and the dinner also offered us the opportunity to formally announce our plans for the first ever eCommerce Show North in association with UKFast. The show, which will take place over two days in October 2017, will see the largest ever gathering outside London of eCommerce players from across the UK. In addition to our headline partner in the shape of UKFast, we also have four event partners in Digitl, Space48, dotmailer and Endless Gain. Our groundbreaking Prolific North Live which welcomed over 2,200 people to the first one day show this February, will be back over two days in Feb 2017 and will be almost triple the size. We already have over 80 exhibitors and commercial partners on board and in the coming few weeks, readers can expect to read about a host of outstanding new partners, exhibitors and market-leading speakers and content. We'd like to thank all our readers and commercial partners for their continued and increased interest and support and we look forward to delivering ever more quality content and live engagement opportunities. 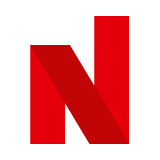 If you have any queries about any of Prolific North's market-leading offerings, please contact the publisher Nick Jaspan at nick@prolificnorth.co.uk.